Experience the Elegance...The Masterpiece Collection! Building Quality, Tradition, and Value Since 1971. You can be confident with your choice of Benchmark as a leading and well established construction contractor with an excellent reputation for quality work and happy customers. Our craftsmanship and quality of work have made it possible for us to be in business since 1971. The Benchmark team of developers, builders and sales representatives are hands-on professionals who work closely with customers to integrate and simplify the home buying process and to deliver a product and lifestyle that lead to strong customer satisfaction. Licensed, professional residential and commercial contractors making our customers' dreams come true since 1971! 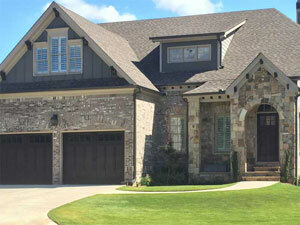 Why Benchmark Homes in Atlanta? Benchmark Homes has established craftsmanship, quality and superior design standards as the hallmark of its company's philosophy. Visit or Call Today to get started on your new dream home! Just wanted to drop a note saying "Thank You" for a grand experience with Benchmark. Our new home is coming along and we cannot wait for you to drop in and see it as it transforms. The contractors were all so incredible to work with and just took care of every concern. Ron was wonderful to work with and helped to make the experience so nice. We cannot express how much we enjoyed working with Kip! His patience was probably put to the test more than once but it never showed. We hope you will take a minutes out of your busy schedules to drop by and see the house as we transform it into our home. We hope you both have a wonderful holiday season with your children, family and friends! It is approximately two months since we moved into our new home on Vernon Ridge in the Mt Vernon Point community. Some additional construction work to our home is presently in its final stage and at this time we would like to express our sincere appreciation to the entire Benchmark team that facilitated us from "contract to Move-in". We would also like to take this opportunity to express special appreciation to Mr. Leslie Choo - builder - who was always willing to extend his knowledge and at all times displayed patience and flexibility which to a great extent allowed us to acquire a most satisfactory and well constructed home. It is our view that as a builder Mr. Choo is an outstanding credit to Benchmark and his profession. We look forward to our residency here and continued good relations. I closed on my new home at 2155 Washington Dr in the Mount Vernon Point Subdivision in Douglasville GA. I had the opportunity to work with two amazing people, Gary Sam my builder and Barbara Glore and I am happy to say that Gary did a fantastic job with my house and we are very pleased and proud of our new home. Gary was very clear on what we wanted in our home and he was excellent on providing us with his great services. As for Mrs. Glore, she worked so hard to make sure that we were satisfied. She was there every time I had a question or comment, even though I resided in Maryland at the time my house was being built. I felt like I was right on sight because she always e-mailed us pictures. I thank her very much because that helped a lot. I will definitely recommend these people to anybody who wants to buy a home. My spouse and I recently purchased a home in Mount Vernon Point. We are currently in the military, stationed at Fort Leonard Wood, Missouri. 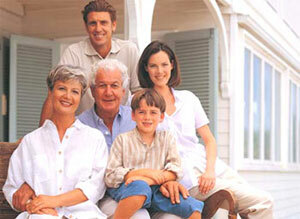 It was very important for us to find the right retirement home for our family. After traveling back and forth and looking at several new developments in the Douglasville area, we immediately made our decision. Randy Harper was chosen to be our builder. Our decision was based on his professionalism and experience. Being prior affiliated with the military, Randy was aware of the importance of having the best retirement home. He made himself readily available to us during the development process. Randy's willingness to address any and all concerns that we may have had was phenomenal. After the completion of the home, we were not able to find any major concerns. My spouse and I were speechless and grateful for the immaculate work that Randy and his staff provided. Randy exemplified his efforts to make us proud homeowners. His personal touch was displayed throughout the entire home. We greatly appreciate his attention to details and pictures sent to us via email. It was not easy trying to build a home and live in another state but Randy made this process rewarding for us. We are more than satisfied with the outcome of our home, Mount Vernon Point is where people care and have pride in their work. Randy should be commended for the great work he provides to his customers. His untiring efforts should not go unnoticed. Scott, thanks a million for taking care of our house and going the extra mile. It was an extraordinary experience because of extraordinary builders! Thank You! Attention to detail and craftsmanship - The inside and outside had standard upgrades that other builders would not have included or would have been an upgrade. Examples of this was Thick and detailed crown molding, large Kitchens, large master bedroom and baths, marble and granite. Benchmark also were prompt on any home warranty issues we had and worked with us to make sure they were completed in a timely matter. I worked mostly with Scott Justus who I found to be very honest and sincere. The personal attention received and the availability to speak with him made us feel at ease. I recommend anyone to take a look at Benchmarks communities. In my opinion you cannot go wrong with them as your builder. The purpose of this letter is to provide you with feedback on our experiences in purchasing one of Benchmark Homes in the Chesterfield subdivision. Earlier this year, my husband and I decided that we would begin looking for a new home that would not only satisfy our current needs but that would also meet our future needs as well. We planned ahead and spent many weekends visiting several new subdivisions in Marietta and on-line. When visiting sub-divisions we looked at homes in the country club areas as well as many other well known exclusive subdivisions in Marietta. 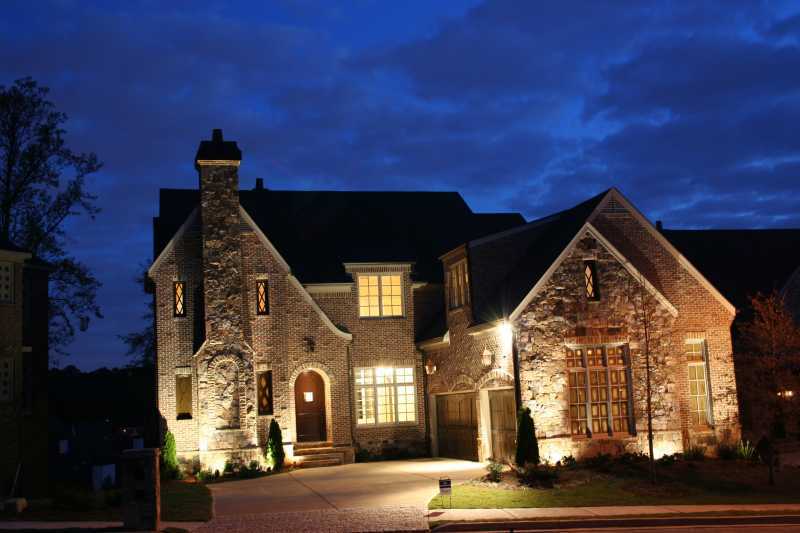 When comparing the features, quality, craftsmanship, location and what the homes offered, we found that Benchmark Homes excelled in providing us with the type of home we desired to address our needs. On November 28th, my husband and I closed on one of Benchmark Homes. We can not express in words our gratitude and the experience we had in making this most important selection. During our decision period, we spent time talking with the greatest builder, in our opinion, Randy Harper. We also worked closely with Diane White to get a lot of our questions answered and concerns addressed. Randy Harper provided a service and experience that will never be forgotten. Randy treated us like we were the most important people in the world and he took the time to walk through the home we were considering. Randy explained the various features the home had to offer. Randy was attentive to our questions and concerns and provided the ease we needed in making a final decision. Our interaction with Randy gave us the impression that he truly cares about the quality of his work. After spending sometime with Randy, we felt as though our new home was built with us in mind. Given the state of the economy, buyers have many choices to select from when deciding to purchase a home. The professionalism, caring and good nature people for which Benchmark employs made a world of a difference in our selection. We appreciate Randy Harper and Diane White for all they contributed in helping us to make a final decision about our future home. We are very proud Benchmark homeowners and we look forward to our continued business with your company. Thank you for providing the best experience one can imagine in the purchase of such an important asset. We want you to know that the builder made the difference and contributed significantly to our final decision. We are the proud owners of a beautiful home located In Mt. Vernon Point Subdivision. Our builder was Randy. I would like to take this time to thank Randy for a job well done and to say thanks for turning that big pile of dirt into a beautiful home. When we first signed the contract with Benchmark our builder, Randy, was there with us from the moving of first shovel of dirt until the last grain of grass was planted and the house was ready for us to move in and for that we want to say thanks. We would also like to thank Lorene and Barbara for their help. They are very professional and caring women. But this letter is to take our hats off to Randy and let you know the admiration we feel about the work that was done on our home. With a project of that size and the change that we made, Randy was always there with a smile and friendly hand to make our dream become a reality. He never said no that can't be done. Randy was always on top of the construction of our new home. Whenever we were on site and we had a question (regardless of how elemental) Randy was there to answer all questions, and make us feel as though this was his only project. It seems as if he always pop up out of the blue when we needed him the most. He is a very caring and charming person and made us feel like this was truly the only project he was working on at the time. Randy made sure that during the entire building of our new home, that we understood exactly what phase the construction was in and what to expect next. Even when we would call during the week with questions, that at the time seemed as though they could not wait until our new site-visit, Randy was always there to answer any and all questions. He was very patient with us. This construction started back in the fall of the year. The project was completed on schedule. We had an open line of communication with Randy and there were no surprises. I think that communication is the key to it all and helps make for a pleasant working environment. Mt. Vernon Pointe is indeed a beautiful subdivision and I think that one of the reason why is because you have builders that take pride in their work and do not take any short cuts in ensuring that the job is completed to the liking of the customer. Randy is a man of few words. So once again we would like to thank Randy for a job well done. We have moved in our new home and we still see Randy. He is still smiling and checking up on us. This letter is to Benchmark Homes to let you know that I am very happy with my decision to buy my new residence at Whitehall. It has been a very good experience working with all of you, from the builders to the real estate agents. The home is not only beautiful, but the quality of construction is excellent. My home inspector, who has inspected other houses for me, said that this was the house to buy....he was right!!! I know the neighborhood is good and as soon as the houses are built, everyone is going to want to live there. I want you to know that if anyone wants to talk to me about my experience buying in Whitehall, I will be more than happy to share it with them. Thank you and the boys for being so kind and helpful during our construction project. You went above and beyond your job. We appreciate all of your hard work. We hope you stay in touch. We are recent home buyers from the Benchmark Home Builders and would like to offer our sincere thanks to Darrel and Barbara for their professionalism and constant help during the entire building process of our home. We are active duty Army, service members who are returning from Germany after five years of being away. Our home was built while we were stationed oversees and over the last six months we made many changes to our initial selections. I just wanted you all to know that all of our requests were met to even include an extra bathroom with less then thirty days to closing. From the start to the finish you have made this building experience such a pleasant process. Our home is so beautiful and we are so pleased with the final results. Darrel, you are God sent and we are so very thankful that you were there throughout the entire process and even after closing you have still been there for us. I haven't been in any other homes but I just know in my heart that our home is the most beautiful in this entire community. This community has so many wonderful people and now we can finally say that we are Home. We would gladly recommend you to all of our friends and family. Thanks for making our dream come true. This is truly our retirement home and we will be here for many years to come. May God continue to Bless and keep you safe. Thanks for what all you have done for me and my family. Scott and Lisa Justus and their team have been great builders of our home in Kensington Green. They really care about our needs and have done a good job with follow ups and during the closing process. I would encourage future homeowners to work with them. The houses they build are truly fantastic and hard to match both in quality and price. My wife and I purchased our home in The Gates of Vinings subdivision from Scott and Lisa Justus of Benchmark Homes. We have been pleased with our home and with our association with Scott and Lisa. Scott and Lisa have stood by their product in every way. Additionally, they both have always been available to answer questions about our subdivision and about additional building projects of which we have had an interest. At the one year anniversary, Scott corrected all issues we brought to him. We would not hesitate to buy another home from Scott or to have him build one for us. We can recommend their services without hesitation. We would gladly answer any questions one might have about Benchmark Homes. We wanted to take a moment to thank you both for your hard work and commitment to helping us with the building of our first new home. All in all - we remain impressed by the Benchmark quality you have exemplified. We think it turned out wonderful and wanted to let you share in that pride. We had neighbors over the other night, and had rave reviews regarding the quality of house. Even more, it must be rewarding for you to know that you build homes and communities where people get together and enjoy life away from work. Thanks again and we'll continue to recommend Benchmark (not only for our benefit in the neighborhood) but wherever you build.